» You Know What Time It Is…? It’s Aloe Blacc Time!!! 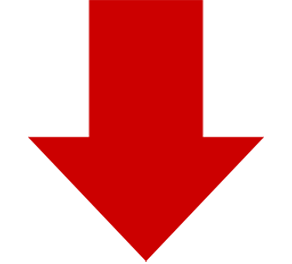 You Know What Time It Is…? It’s Aloe Blacc Time!!! In case you hadn’t noticed Aloe Blacc, these days is everywhere. It never ceases to amaze me how loyal Aloe Blacc fans are, and let me say it is an honor to be compared to this guys musical style because he truly does own the essence of blue grass music. In case all you Aloe “Wake Me Up” songs Fans didn’t know let me be the one to give you the 411 on what the real deal is behind one of the biggest hits to grace the radio is, which was the collaboration between Music Producer Avicii and Mr. Aloe the vocalist. So according to insiders from various media outlets and abroad, looking from the outside in at the music single “Wake Me Up”, it surely looks like Avicii is the one getting all the credit for it, I mean anytime you or I hear the “Wake Me Up” song played on the radio or watch the video played on T.V., it’s Aviciis name and brand that is backing it up from what can be seen as the sole creator not just for the production but the lyrics as well, with no mention of Aloe anywhere. It has been said Aloe was paid and sought out by Avicci primarily to write the lyrics for “Wake Me Up”, which I know if you have gotten this far into by blog post, that it probably now has you wondering just how much Aloe Black could have made from “Wake me Up” if in fact he has been given no actual name credit on the majority of the major video air play as well as radio play the songs has received. Which is why having been a fan of Aloe Blaccs music myself for some years not only as a music artist but as a blue grass music lover, I am keen to reveal that to all my readers whom do not know, Aloe has been credited as a co-writer on the “Wake me Up Song”. So essentially Aloe is making rightful profits from co-writing lyrics to “Wake Me up” which he has been credited as saying “started with and idea on a plane ride back home. The producer “Avicii” in this case would be considered a primary writer having re-worked the initial acoustic version of “Wake Me UP” into the essence of what has now become known as one of the biggest cross over dance/country hits on the Bill Board 100. Though Aloe never has been officially featured as the vocalist, to date he has also always almost been quoted as saying He looks at the situation, “Not having been credited as a featured vocalist as something of a new approach to expose fans like myself, future potential fans and current fans too in a new direction musically”, in the sense that one day listeners who like the song “Wake Me Up” he sang on but maybe whom do not really know it was him that sang on it because of no feature will be able to find something surprising of it in a good way. One has to understand the side of view Aloe Blacc is coming from especially all the fans that take pride in his music, I mean so much good has come from this collaboration he did with Avicci on the “Wake Me Up” single, he has had the opportunity to perform at Grammys Pre –Parties, tour, and work with loads of even high caliber of music stars like Pharell and DJ Khalil on his future solo album releases which is likely something the artist didn’t have much access too being that before people started catching on to the fact it was he singing the vocals, Aloe Blacc was not very internet known. Not to mention endorsements and I am sure much more are to come from his decision to do the “Wake Me Up” Single. Being that as an up and coming music artist have used much country music style and blue grass music styles in singles I have released but still managed to keep a level of dance ability for my fans in my songs, I admire Aloe Blaccs courage to embark in new directions with his music career. I think Aloe Blacc has taught not only me but up and coming artists everywhere a lesson or two in doing what is necessary to get to the next level without feeling that they’ve sold themselves out with no main feature credit title. What is does is show aspiring artists that it is not always about the name title labeled on an Album or Song but the work and the ethic that goes into creating the record which will ultimately be what stands the test of time. 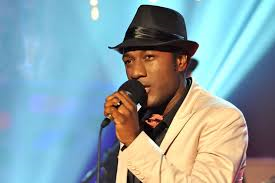 One thing is for sure as more and more people start to catch on to the fact that it is indeed Aloe Blacc whom is singing the vocals and not only Avicci he will continue to make an impact on the music industry with or without a title and eventually have created some of his own with his own solo projects.